W8 / W9 Forms | Philip Stein & Assoc. The Form W8 comes in various versions, including W-8BEN, W-8BENE and W8-IMY. 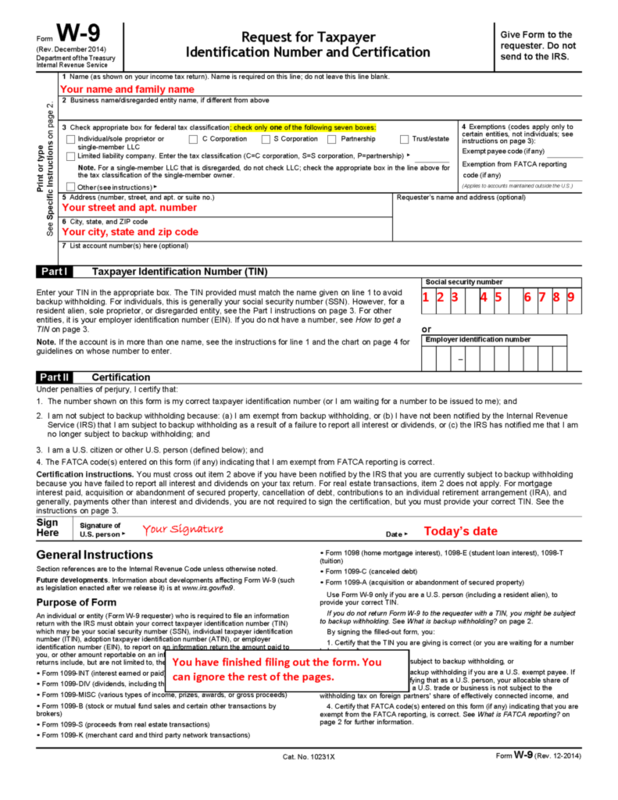 As a non-U.S. citizen, you may be asked to fill out a W8 by your bank or financial institution to identify your U.S. tax status as non-American. If you are registered as a financial institution, you will be required to submit your GIIN number, which we can help you apply for. You may be surprised to be asked for this form, but it is standard practice. Be in touch with one of our advisors to discuss whether you may have other filing requirements that require attention. You may be asked to fill out a W9 form by your bank, investment advisor or pension fund when opening an account. These various institutions require their clientele to complete this form to identify American citizens to the US government. The W9 form is straightforward and only requires you to provide your name, address, social security number and entity type (individual, partnership, corporation, etc. ).